The U.S. Department of Energy's Clean Cities initiative today announced the expansion of the ongoing collaboration with the National Parks Service's Climate Friendly Parks program. The goal of this new partnership is to reduce air pollution and preserve the environment and the National Parks' natural resources. Clean Cities has been working with the National Park Service since 1999 to support the use of renewable and alternative fuels, electric drive vehicles, and other energy-saving practices to help preserve air quality and promote the use of domestic energy resources in the parks. The expansion includes additional support and pilot projects at three national parks. The Department will provide technical assistance in developing project proposals which then can be submitted to the National Parks Service for potential funding. Picture inset One of Glacier National Park's propane-powered historic Red Buses. George Soros is launching a new investment fund that plans to profit off of the "green energy" boom, which is entirely dependent on government subsidies supported by the groups Soros funds. As the press release puts it, this fund will "leverage technology and business model innovation to improve energy efficiency, reduce waste and emissions, harness renewable energy, and more efficiently use natural resources, among other applications." As Soros puts it in the same release: "Developing alternative sources of energy and achieving greater energy efficiency is both a significant global investment opportunity and an environmental imperative." Cadie Thompson at CNBC's NetNet flagged this. So, yeah. The big-government policies advanced by the liberal outfits he funds — like Center for American Progress — will enrich the companies in which Soros is investing. The press release casually mentions whom Soros is hiring to run this new fund: Cathy Zoi. As Cadie Thompson at CNBC's NetNet (edited by my brother John Carney), puts it, Zoi was Barack Obama's "Acting Under Secretary for Energy and Assistant Secretary for Energy Efficiency and Renewable Energy." Zoi, who joined the Obama Administration in 2009, became controversial during early 2010, after it was realized she had a financial interest in two companies that were poised to profit from government spending that promoted energy efficiency. Cathy Zoi, the assistant secretary of energy for energy efficiency and renewable energy, owns between $250,000 and $500,000 worth of stock in Landis+Gyr, a Swiss-based manufacturer of special electric meters that are used to create an efficient "smart" grid of electricity use. Her husband, Robin Roy, owns options on at least 120,000 shares of Serious Materials, a leading manufacturer of energy-efficient windows that's been singled out for praise by President Barack Obama and Vice President Joe Biden. As an officer of the company, Roy receives options on an additional 2,500 shares every month and will continue to do so until October 2012. NationalGeographic- Even a regional nuclear war could spark "unprecedented" global cooling and reduce rainfall for years, according to U.S. government computer models. 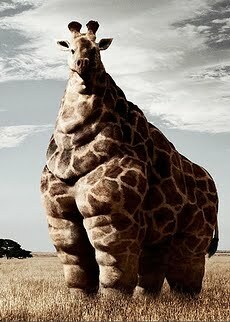 Widespread famine and disease would likely follow, experts speculate. During the Cold War a nuclear exchange between superpowers—such as the one feared for years between the United States and the former Soviet Union—was predicted to cause a "nuclear winter.".... 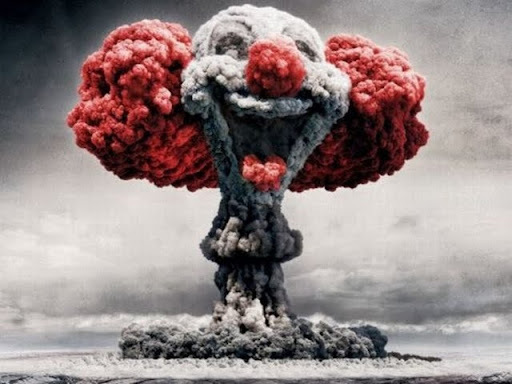 Today, with the United States the only standing superpower, nuclear winter is little more than a nightmare. But nuclear war remains a very real threat—for instance, between developing-world nuclear powers, such as India and Pakistan. File under OMG are you kidding me???? On Monday, dense smog blanketed the city of Beijing, China. It was so bad that the hazardous air pollution exceeded measurable levels, forcing Chinese officials to urge residents to stay indoors. Official measurements indicated that the smog was "beyond index," plunging below the worst rating on the city's pollution scale. In an interview with the AFP, an official at the Beijing Environmental Bureau who refused to release her identity stated, "Obviously elderly people and children should not go outside." Yikes. The Beijing weather bureau reported that particulate pollution, rising temperatures and a lack of wind caused the thick smog to settle in, cutting visibility down to 200 meters. Air quality in Beijing is expected to remain poor until winds pick up today and blow the dense smog north of the city. 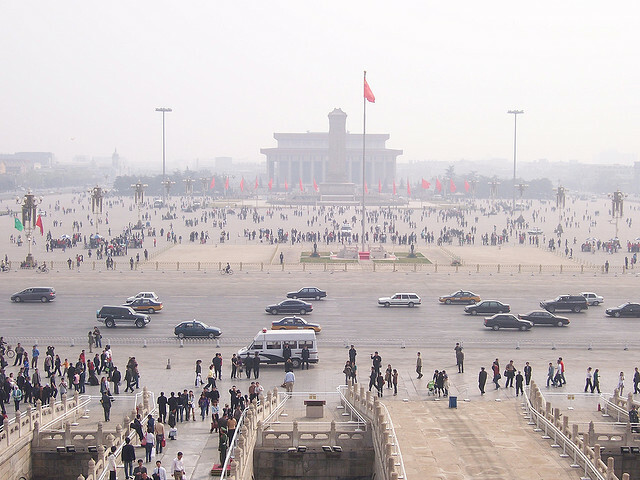 Beijing's 4.8 million registered vehicles bear the brunt of the blame for the city's rising air pollution. 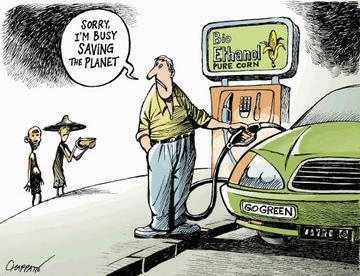 AutoBlogGreen Think the Toyota Prius was the first hybrid automobile ever made? Think again. Honda Insight? Keep guessing. In reality, the world's first hybrid was designed and built by none other than Ferdinand Porsche, founding father of the present-day Dr. Ing. h.c. F. Porsche AG, Stuttgart. That's right, the same brain that brought us such HTML clipboard ingenious machinery as the Volkswagen Beetle and the glorious Auto Union racers built the world's first fully functional hybrid automobile. 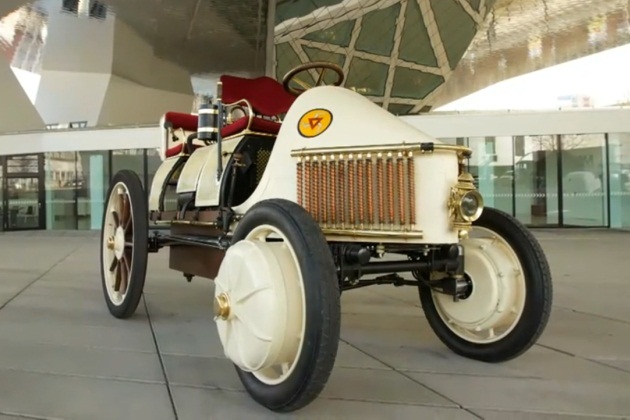 Now that the modern-day Porsche brain-trust is once again showing interest in hybrid technology, the German company has decided to bring back the 1900 Semper Vivus, which literally means always alive. Although the technology behind hybrids has come a long way - Porsche's first hybrid used about 4,000 pounds of lead acid batteries and could barely climb any kind of grade - the basic principles are actually much the same. 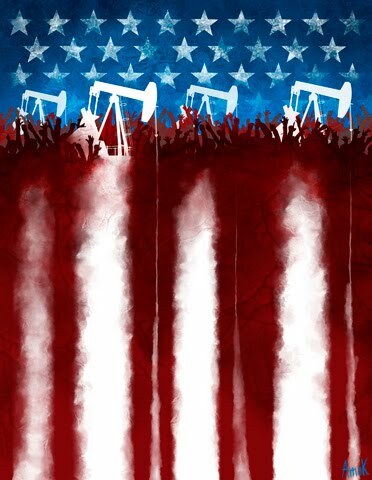 The United States consumes over 10 million barrels of oil per day moving people and goods on roads and rail throughout the country. Surface transportation generates over 23 percent of U.S. anthropogenic greenhouse gas (GHG) emissions. 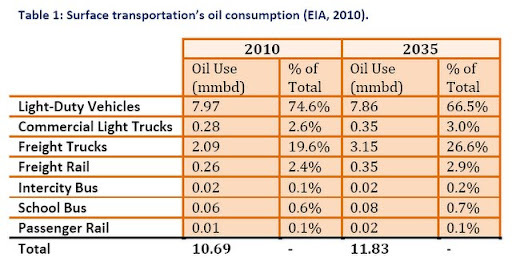 Transportation is the primary cause of U.S. oil dependence with its attendant risks to U.S. energy security. Contributions f HTML clipboard rom this sector will be necessary in any effort to maintain a sustainable and secure economy in the future. 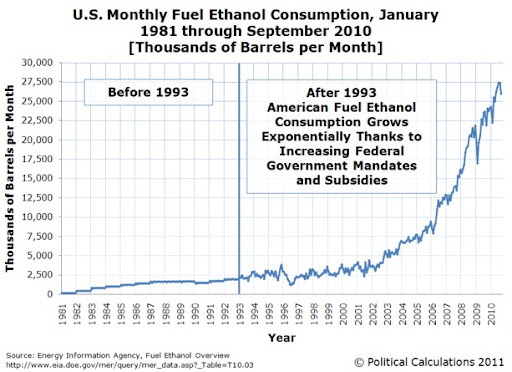 There are many opportunities to save oil and reduce GHG emissions under existing federal law and possibly in the next surface transportation reauthorization legislation in the U.S. Congress, while increasing the mobility of people and goods in the U.S. economy. This paper identifies opportunities possible in transportation reauthorization legislation and using existing legislative authority that will save oil and reduce GHG emissions. The strategy focuses on five key elements: vehicles; fuels; vehicle miles traveled (VMT); system efficiency; and construction, maintenance, and other activities of transportation agency operations. HTML clipboard This report highlights advances in neuroscience with potential implications for education and lifelong learning. 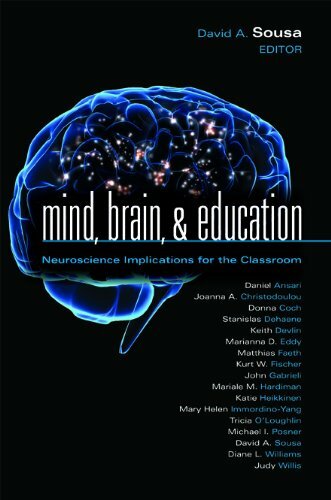 The report authors, including neuroscientists, cognitive psychologists and education specialists, agree that if applied properly, the impacts of neuroscience could be highly beneficial in schools and beyond. Cannabis is the most widely used addictive substance after tobacco and alcohol. 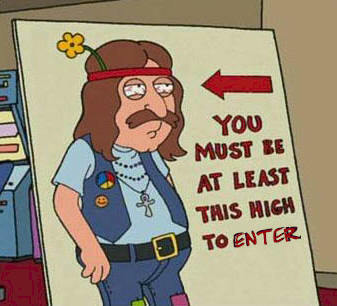 The 2009 National Survey on Drug Use and Health reported that more than 16 million Americans use cannabis on a regular basis, most of whom started using cannabis and other drugs during their teenage years. There is little doubt about the existence of an association between substance use and psychotic illness. National mental health surveys have repeatedly found more substance use, especially cannabis use, among people with a diagnosis of a psychotic disorder. There is a high prevalence of substance use among individuals treated in mental health settings, and patients with schizophrenia are more likely to use substances than members of the wider community. Prospective birth cohort and population studies suggest that the association between cannabis use and later psychosis might be causal, a conclusion supported by studies showing that cannabis use is associated with an earlier age at onset of psychotic disorders, particularly schizophrenia. The HTML clipboard continuing unrest across the Middle East have pushed oil prices into a "danger zone" that could threaten global economic recovery, the International Energy Agency has warned. Fatih Birol, the IEA's chief economist, said high prices could put pressure on central banks to raise interest rates, especially in more developed countries such as the UK. 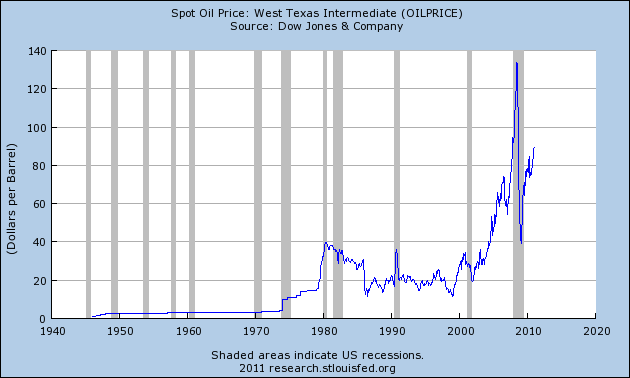 "Oil prices are a serious risk for the global economic recovery," he said. "The global economic recovery is very fragile – especially in OECD countries." He said oil prices had entered a "danger zone" for the recovery at over $90 a barrel. Brent crude prices fell back slightly from Monday's two-and-a-half-year high of $108.70 a barrel, but US oil prices at one stage rose by more than $8 a barrel to hit $94.49, the highest level since October 2008. That increase was partly a catch-up after the US markets were closed on Monday, but prices are also being driven by fears that unrest could spread to Saudi Arabia, the world's biggest crude exporter. SlashDot - "IraHTML clipboard n said on Saturday it is removing the fuel from the reactor of a Russian-built nuclear power plant, a move seen as a big blow to its controversial nuclear program. The plant was first launched by the shah using contractors from Siemens. It was shelved after the Islamic revolution and it lay unfinished through the 1980s. In the early 1990s, Iran sought help for the project after being turned away by Siemens over nuclear proliferation concerns. In 1994, Russia agreed to complete the plant and provide the fuel, with the supply deal committing Iran to returning the spent fuel. The plant has faced hiccups even after its physical launch, with officials blaming the delays in generating electricity on a range of factors, including Bushehr's 'severe weather.' But they deny it was hit by the malicious Stuxnet computer worm which struck industrial computers in Iran, although they acknowledge that the personal computers of some personnel at Bushehr were infected with it." HTML clipboard Only the richest 5 percent of Americans are back in the stores because their stock portfolios have soared. The Dow Jones Industrial Average has doubled from its crisis low. Wall Street pay is up to record levels. Total compensation and benefits at the 25 major Wall St firms had been $130 billion in 2007, before the crash; now it's close to $140 billion. The truth is if the super-rich paid their fair share of taxes, government wouldn't be broke. 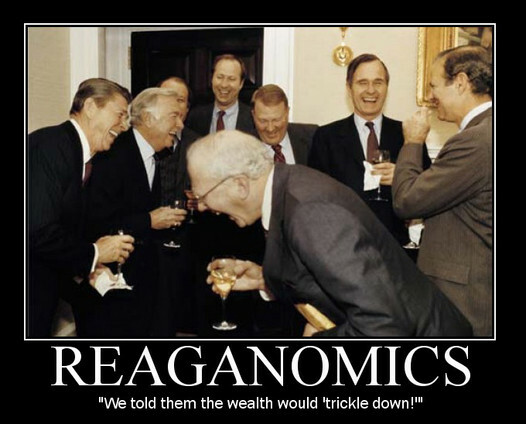 If states hadn't handed out tax breaks to corporations and the well-off, and if Washington hadn't extended the Bush tax cuts for the rich, eviscerated the estate tax, and created loopholes for private-equity and hedge-fund managers, the federal budget wouldn't look nearly as bad. The final truth is as income and wealth have risen to the top, so has political power. The reason all of this is proving so difficult to get across is the super-rich, such as the Koch brothers, have been using their billions to corrupt politics, hoodwink the public, and enlarge and entrench their outsized fortunes. The budget outline released by President Obama this week, just like last year’s proposal, includes about $3.5 trillion in tax cuts over ten years. Most of that cost comes from his $3.1 trillion proposal to make permanent most of the Bush tax cuts, which would cost 81 percent as much as extending all the Bush tax cuts. One part of the equation is that demand for food is growing. 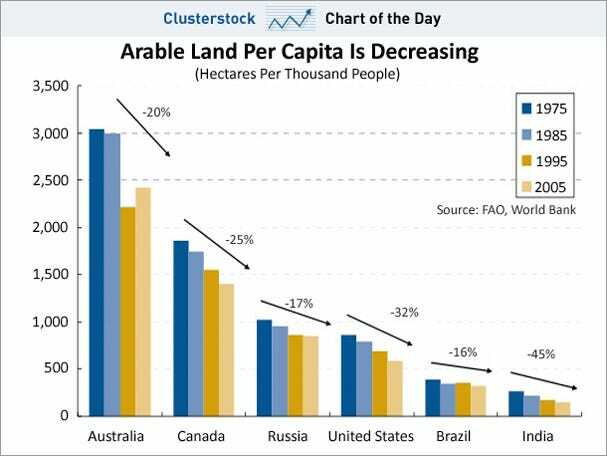 But there's another aspect: The clear trend in major regions is for less and less arable land per capita. Thus the only way to get more food is to get more yield from diminishing acres. And that means: more fertilizer! Wisconsin States & Federal Payroll - How bad is it? As a nation we are talking about cutting the most fundamental state programs that server and protect our families and communities? But before we do, maybe someone should be looking into the "federal and not state" compensation to control deficit. Wisconsin is fairly typical regarding the percentage of its citizens who work for the State or local government. According to the US Dept of Commerce, Wisconsin had 214,506 "full time equivalent" state and local government employees in 2009. In July 2009, the estimated population of Wisconsin was 5,654,774. 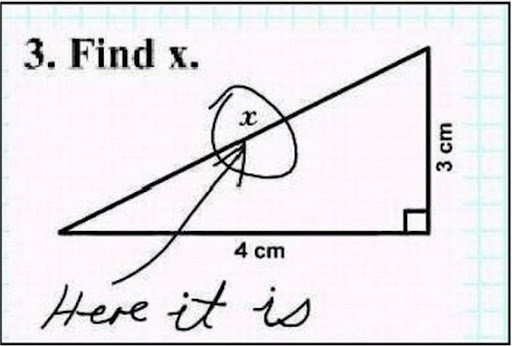 This is 3.79% of the population. That means Wisconsin private workers pay for one out of every 30, and closer to one out of 20. My numbers here do not include Wisconsin residents who work for the Federal Government or who work as contractors for any government. (Certainly there must be a few) It also does not include retired State workers who are now being supported by taxpayers. State and local governments employ some 20 million people nationwide. Employee compensation costs represent the largest set of expenditures in every state budget. Total state expenditures exceeded $2.2 trillion last year, of which wages and benefits amounted to $1.1 trillion. Consequently, budgeting decisions related to at least 50 percent of all state budgets are driven by the wage provisions of civil service contracts and funding obligations for state workers' health care and pension plans. 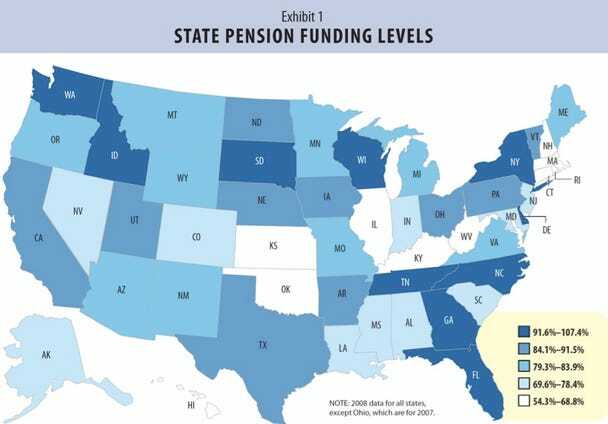 States' recent investment losses, which exceeded $800 billion in 2008, have worsened the budgetary pressures of pension obligations. For example, the state of Illinois was forced to borrow $3.5 billion to meet its pension obligations, thereby incurring tens of millions of dollars in additional debt service costs. 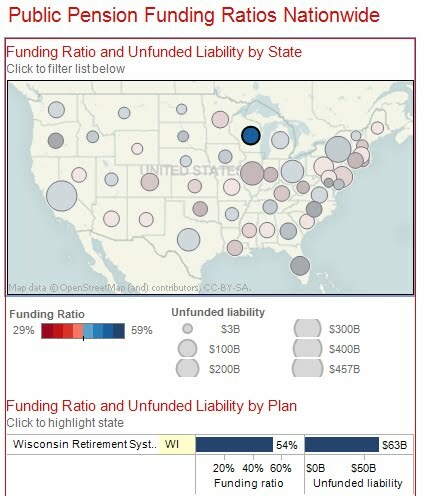 Estimates peg the total unfunded liabilities of state and local pension plans between $1 trillion and $3 trillion. Exhibit 1 from Pew Center for the States, The Trillion Dollar Gap: Underfunded state retirement systems and the roads to reform, February 2010. How Does Federal Compensation Compare? The average federal employee earns 57 percent greater cash pay and 85 percent greater total compensation than the average private-sector worker. "But ... there are, in fact, some federal employees who are getting underpaid because the federal pay system doesn't reward experience or hard work as Federal workers receive automatic seniority-based raises irrespective of performance. The Presidents 2-year pay freeze for federal workers and suspension of the annual cost-of-living adjustment does not affect these raises. During the "great recession, private sector job growth has seen a steep drop, while public sector jobs continue to increase. Government employment has increased by 590,000 while the private sector has lost nearly 8 million jobs since the beginning of the recession. After the passage of the Recovery Act, these trends have continued: the private sector has lost an additional 2.7 million jobs, or 2.5% of total private employment, while state and federal governments have continued to grow, adding an additional 400,000 jobs. State and local government have reduced their workforce, mostly by not filling vacancies, by 1.3 percent in 2009. This amounted to 258,000 jobs. However, in that same time, federal jobs have increased by 3.4 percent, or 2.2 million jobs. 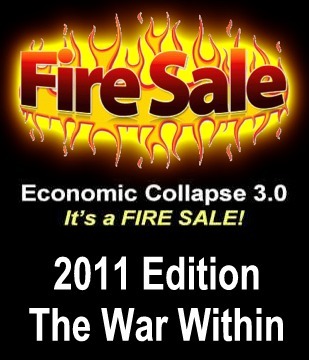 Haase - These are discussions no one wants to have, I describe this as "the war within" during great recessions. Where we create conflict with the people we love and respect that are fundamental to serving and protecting our families and communities. But we are all in this together. The discussion has to be open and clearly defined in relaying message that little sacrifices have to be made for the few to avoid biblical hardship for us all. And lets not kid ourselves... It is The Unfunded Liabilities Problem (Or Lack Thereof In Wisconsin) that is the concerning me and my colleagues in gov roles the most. Wanna watch more of Wisconsin's budget? The Journal Sentinel has made public employee salary information available. There is also the WI Statistical Information Center - School Staff and Salary Data. "The potential is for a 21st-century version of the Johnstown Flood, a calamitous dam failure that killed more than 2,200 people in western Pennsylvania in 1889," Fountain writes. "But corps and local government officials say that the odds of such a disaster are extremely small, and that they have taken interim steps to reduce the risk, like preparing evacuation plans and limiting how much water can be stored behind the dam to less than two-thirds of the maximum." FEMA estimates 58,000 large dams will exceed their design life span by 2020. ASCE reported 61 dam failures and 520 incidents, 2100 structures classified as unsafe. There is a desire to restore threatened and endangered or economically and ecologically significant species affected by dams. Grand Opening of Solar Manufacturing Milwaukee Plant Monday - Join Us! Wisconsin, Milwaukee and every major metro community screams we want jobs, manufacturing and renewable energy! Well, we have it right here in Wisconsin. Show your support by joining in at the grand opening of this cutting edge solar manufacturing plant in down town Milwaukee on Monday February 28th. Hope to see you there! 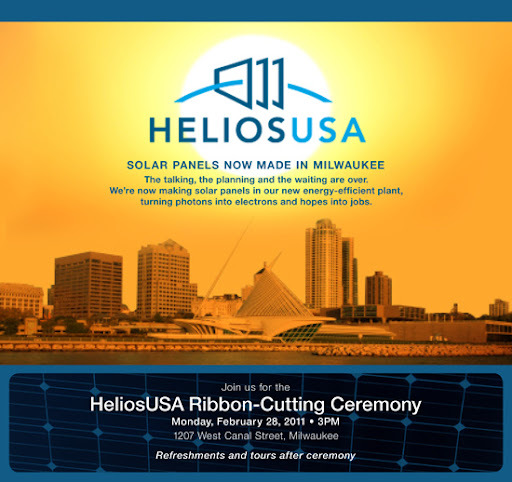 Helios USA is open for business and building solar panels right here in Milwaukee Wisconsin and you're invited to their Ribbon-Cutting Ceremony on Monday, February 28th, 2011 at 3:30 PM. Please send us an email to administrator@helios-usa.com and tell us your name and how many people you are planning to bring so we can make sure to save you a seat and gather enough refreshments. 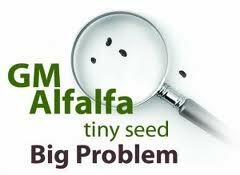 GMO Crop "new organism"can reproduce and has ability to cause disease in both plants and animals. Here's another reason the recent approval of GMO alfalfa and sugar beets was a bad idea: researchers claim that Roundup Ready GE crops contain an organism, completely unknown until now, that has been shown to cause miscarriages in farm animals. The new organism was detected only after researchers observed it using a 36,000X microscope. It is about the size of a virus. 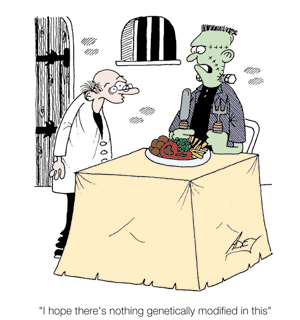 The scary part: it can reproduce, and possesses the rare ability to cause disease in both plants and animals. The research was performed by Professor Don M. Huber of Purdue University. Huber is also a coordinator for the USDA National Plant Disease Recovery System. 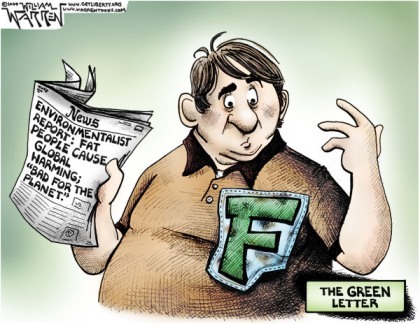 He penned an open letter to Agriculture Secretary Tom Vilsack outlining the dangers of this organism, how it was discovered, and his recommendation that a moratorium on the sale and planting of Roundup Ready crops be put in place immediately. He states: "In summary, because of the high titer of this new animal pathogen in Roundup Ready crops, and its association with plant and animal diseases that are reaching epidemic proportions, we request USDA's participation in a multi-agency investigation, and an immediate moratorium on the deregulation of RR crops until the causal/predisposing relationship with glyphosate and/or RR plants can be ruled out as a threat to crop and animal production and human health. It is urgent to examine whether the side-effects of glyphosate use may have facilitated the growth of this pathogen, or allowed it to cause greater harm to weakened plant and animal hosts. It is well-documented that glyphosate promotes soil pathogens and is already implicated with the increase of more than 40 plant diseases..."
A new organism, able to reproduce and cause disease in both plants and animals. If it's able to cause infertility and miscarriage in the farm animals that are in contact with it, one can only wonder: what is it doing to us? Every troop deployed in Afghanistan costs the U.S. $1 million per year, so simply bringing home 151 troops would save more money than his plan. And, with fiscal 2011 Afghanistan War spending alone to top $1.7 billion for Wisconsin taxpayers, an end to the war would free up more than ten times his plan's cash, which the president could use for state fiscal aid. State politicians in Wisconsin and beyond are going to have to face a moment of truth when federal stimulus aid runs out at the end of this year... and things get much worse for state. NY Times - Defense Secretary Robert M. Gates bluntly told an audience of West Point cadets on Friday that it would be unwise for the United States to ever fight another war like Iraq or Afghanistan, and that the chances of carrying out a change of government in that fashion again were slim. Finally, someone will use low hanging island energy fruit? Earth to Island Dwellers, You live on a "geothermal gold mine" folks! So short in fact, that last year when the looming crisis, which reporters had been covering for years, became official, the price of helium-3 went from $150 per liter to $5,000 per liter. "We think the correct price should be $1500," Bentz said. 2012 Budget Debt Reduction - Fact or FAIL? Takes only 20 Seconds to explain 2012 Budget never, ever reduces debt... ever. Haase - "With all the tools available in America to communicate peacefully and decisively, I am against protesting, but if your going to get angry and stand up for something make it count." After two years of sending millions from homes to shelters, unemployed to streets and hungry to poverty. 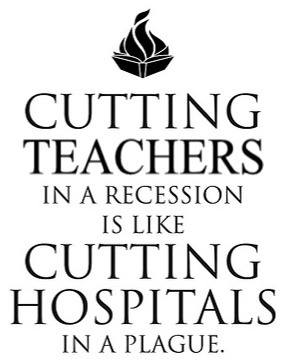 Sure I "get it" being upset about increased health costs, salary caps and dwindling benefits but nearly everyone in the private, non-union sector already sacrificed these areas of their job, if their lucky to have one the last few years. 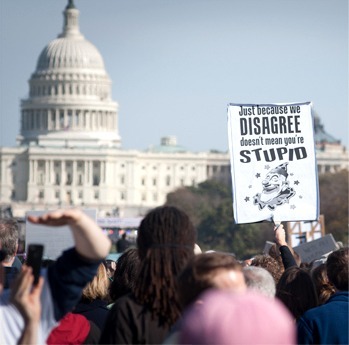 But where were these protesters 10 years and a trillion dollars ago? Or does it only matter when they see their pay checks. Instead of Americans starting a "war within" fighting over the last few good jobs and wages why do we not understand and stop the source of our economic problems? The 10 year War in Afghanistan is the longest war in our history. Over 1,400 American service members lost their lives in Afghanistan;over 8,800 have been wounded in action. 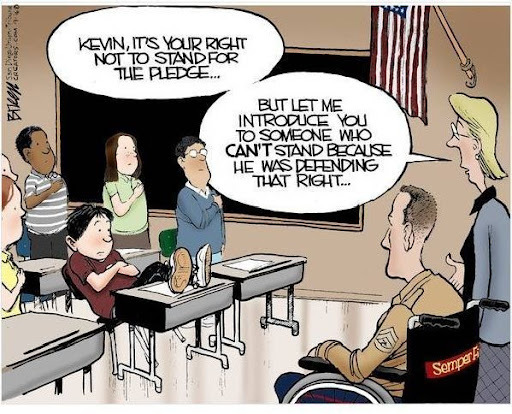 NOTE: I am no hippy and completely understand there is a "cost for freedom" that I can not repay to the individuals who made the ultimate sacrifice for my freedom, but they did not sign up for and endless war. Freedom looks different. "we are not leaving if you don't want us to leave." (AKA - Dan Quayle?) HTML clipboard"
Combined with the war in Iraq, they account for 23% of our deficits since 2003. Washington Post - Where is the outcry from the Tea Partyers and the deficit hawks? Fiscal conservatives should be howling that this war is being financed with borrowed money. 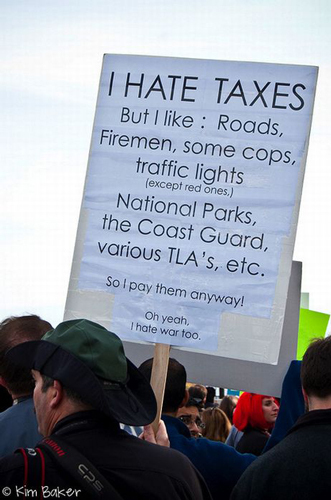 Those who support the war should be willing to pay for it. And where is the liberal outrage? Those of us who are tired of being told that we can't afford green jobs, unemployment or health care should be screaming over our Treasury being used as an ATM when it comes to supporting the Karzai government. To be fair, there are a handful of prominent critics on the left, center and right. 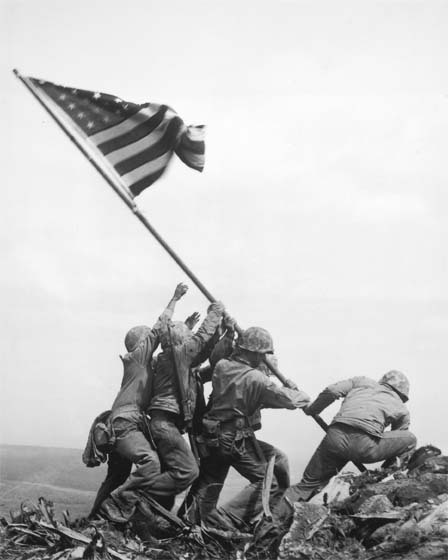 But most Americans are silent about the enormous sacrifice our country has made in blood and treasure. They should be calling, writing or otherwise speaking out. Columbia University professor Joseph Stiglitz told the House Veterans Affairs Committee in September that the costs of Iraq and Afghanistan, including interest payments on the money borrowed for these wars and care for our wounded soldiers and veterans, is likely to total $4 trillion to $6 trillion. Simply put, we believe the human and financial costs of the war are unacceptable and unsustainable. The United States should devise an exit plan to extricate ourselves from Afghanistan, not a plan to stay there four more years and "then we'll see." This doesn't mean that we abandon the Afghan people - rather, we should abandon this war strategy. It is a failure that has not brought stability to Afghanistan and has not enhanced our own security. 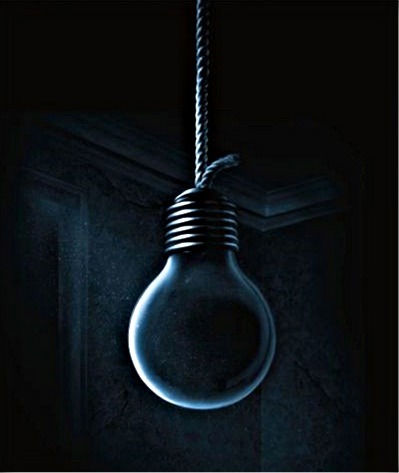 As the retired career Army officer Andrew J. Bacevich has written, to die for a mystique is the wrong policy. It is easier for politicians to "go along" rather than make waves. But we were elected to do the right thing, not what is politically expedient. The discussion of Afghanistan shouldn't be about politics, which we acknowledge are difficult, but what is right for our country. And the right thing is to end this war. Now the worlds second largest economy, China continues to sell off US treasury's, leaving Japan as largest U.S. debt holder. While total Fed Credit shot up by an incredible $31 billion dollars last week, which (in the history of new Fed Credit) and that the Fed created the money to buy $28.3 billion in US government securities! All of this in One Freaking Week (OFW)! 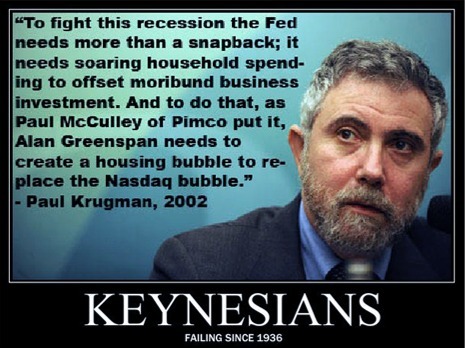 "I assume that Doug Noland was commenting about this whole nasty Federal Reserve thing, too, when he writes, "First, it was the Federal Reserve. 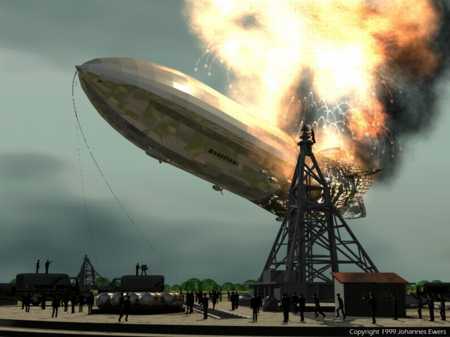 After working studiously to create one, the Fed tossed its vaunted 'exit strategy' right into the scrapheap. They were to have moved to reduce holdings and liquidity operations that had ballooned during the 2008 financial crisis. Our central bank abruptly reversed course and instead chose to significantly expand stimulus – even in a non-crisis environment," so that now "Fed Credit has inflated $189bn in the past 14 weeks, with market perceptions of 'too big to fail' and moral hazard being further emboldened." And the reason is simplicity itself: if you borrow $1 and promise to pay back $1.05, it is one thing, but if everyone borrows $1 and promises to pay back $1.05, then it is quite another! Obviously, a lot of people are going to have to borrow $1.10 to pay back the $1.05, and then they have to borrow $1.16, then $1.22, then $1.28, all the time getting worse and worse and worse. And now that government (local, state and federal) spending comprises HALF of all spending in the USA, the system has hideously mutated into a giant corrupt cesspool that is totally dependent on borrowing to support government spending. HTML clipboardThere are a number of factors, both behavioural and environmental, which are thought to play important roles in the current epidemic of obesity. These range from things like increased soft-drink consumption and decreased physical activity, which are at least nominally under our personal control, to more external factors like viruses, light pollution, and environmental contaminants, over which we have little or no control. HTML clipboardHow much of a role do these external factors play in the obesity epidemic? No one knows. 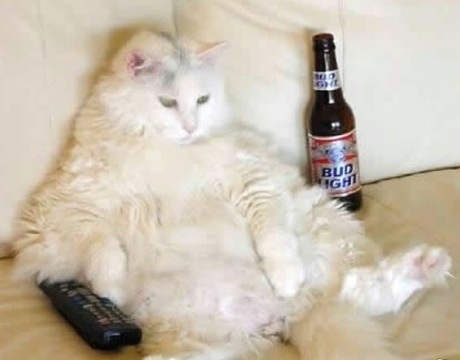 But if these external factors are playing a role in the human obesity epidemic, then we would also expect to see similar increases in body weight and obesity rates among animals who live with or near humans, since they would be exposed to many of these same factors. To this end, a fascinating new paper by Yann Klimentidis and colleagues examines the body weight and risk of obesity in 8 different species, and the results suggest that external factors may be playing a larger role in obesity rates that previously thought. From 24 distinct populations (12 subdivided into separate male and female populations), representing eight species, over 20000 animals were studied. Time trends for mean per cent weight change and the odds of obesity were tested for the samples from each population at an age period that corresponded roughly to early-middle adulthood (35 years) in human development. As the authors point out in their discussion, these animal populations have all gained significant amounts of body weight in recent decades, despite little change to their diet or physical activity levels (for those in lab-controlled conditions, at least). There are some arguments that feral animals may be under selective pressure to increase in size, and that both feral and domestic animals may have more food available due increasing amounts of food waste in our cities. But when the authors looked at weight gain in non-lab (feral or domestic) vs lab animals, the non-lab animals actually gained less weight, not more. In other words, animals populations living in the most strictly controlled conditions were the same ones who saw the greatest increase in body weight in recent years. The authors also note that there may have been improvements in the housing conditions of lab animals in recent decades, but again it is interesting that the body weight of every single animal population in this study increased over time, despite wildly different living conditions, with no one factor able to explain the increases in these disparate groups. Assuming that the issues discussed above are unlikely to account for all of the increase in body weight in these animal populations, what options are we left with? All sorts of things! Everything from the AD36 virus, to endocrine distrupting chemicals, to light pollution and climate change. Seriously. There is an excellent paper on all of these putative "non-traditional" causes of the obesity epidemic which I hope to discuss on the blog soon, and which is available to all here. Now I'm not yet ready to believe that diet and physical activity play no role in the development of obesity, as there is plenty of evidence that they do. This paper also used some pretty intense statistical procedures that are above my pay-scale (not surprisingly, this paper was written by the same group as the Obesity Paradox paper that I discussed last week). But there is enough evidence to suggest that these environmental factors play a role of some kind, and are definitely worth further study. One other interesting point noted by the authors of the present study is that, assuming all of our lab animals are growing heavier over time, there might be unintended consequences for studies using animal models. History repeats itself: food riots are breaking out across the poorer nations, the Middle East is in turmoil and Brent crude has passed the $100 mark – 2011 is opening just like 2008 did. It was a significant year in terms of the global economy: social unrest around the world over a spike in the cost of staple foods, and the runaway price of oil that eventually triggered the worst global economic crash since the Great Depression. While there were undoubtedly other factors behind the downturn, 2008 stands as a benchmark in terms of oil and economics – a shorthand for high oil prices and economic turmoil. 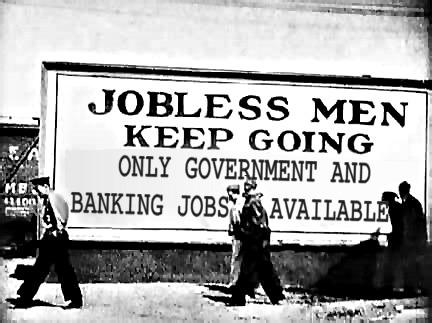 We don't want another 2008, especially with the faltering recovery that has yet to turn substantive cash injections into jobs. Now, it may be just coincidence, but it looks suspiciously like the issues that shaped the first half of 2008 are back: oil demand is surging, its price is rising, and people in the poorer nations are consequently finding the cost of staple foods out of reach. There is a direct link between the cost of oil and food – which I'll return to in a subsequent post – and so the first to suffer from a rise in oil prices are people in developing countries living on a couple of dollars a day who cannot absorb rising costs. If the cost of oil goes on rising – and all indicators suggest it will – then we will see a growing humanitarian disaster around the globe. Neither are our industrial economies immune: based on the assumption that $150-per-barrel oil breaks the machine, how much space do we have before we see oil prices triggering another global recession? NYMEX light sweet crude futures breached $100/bbl in early January and remain near record highs, lifted by falling stocks, cold weather and tight fundamentals. Tensions in Nigeria and the Middle East and fund positioning remain important supportive factors. 2007 world oil demand is revised up by 150 kb/d to 85.8 mb/d on stronger-than-expected deliveries in Asia and the Middle East and cold OECD weather. Now, jump forward to 2011. The year opened with the UN announcing that food prices"surged to a new historic peak in January, for the seventh consecutive month," and further price increases could trigger upheaval and riots in developing countries. We have already seen protests over food prices in Niger, Guinea, Burkina Faso, Mexico, Tunisia and Yemen this year. Protests linked to prices of staple foods are currently sweeping across the Middle East: Bahrain, Libya, Yemen, Iran, Iraq and Egypt are aflame. Crude prices were propelled higher at end-January by political unrest in Egypt, with Brent crude reaching $100/bbl on fears that the turmoil might disrupt Suez canal and SUMED pipeline flows or spread in the region. Although prices have since eased, Brent futures remain around $100.50/bbl and WTI [West Texas Intermediate] at $87.20/bbl at writing. Global oil product demand for 2010 and 2011 is revised up by 120 kb/d on average on higher-than-expected submissions in non OECD Asia and improved economic prospects for OECD North America. At 87.8 mb/d in 2010, global oil demand rose by 2.8 mb/d year-on-year, and should reach 89.3 mb/d in 2011 (+1.5 mb/d year on-year). World oil supply rose 0.5 mb/d in January, to 88.5 mb/d, on higher OPEC crude and NGL output. So, according to the IEA, global demand for oil is set to reach 89.3 million barrels per day in 2011; supply is stated at 88.5 million barrels per day, with Opec effective spare capacity – its ability to open the spigots and produce more at a moment's notice – offering an additional 4.7 million barrels per day.